I would like to know your opinion and comments about me. Thank you. I really love your site.. Pleasant colors & theme. Did you create this web site yourself? Please reply back as I'm hoping to create my very own blog and want to find out where you got this from or what the theme is named. Kudos! Esperanza is simply the best Spanish teacher I've ever had. She makes teaching Spanish an art and a science and provides written materials that introduce idiomatic Spanish expressions which increase one's comfort and fluency. I'm at an advanced level, but I needed someone to help me improve my comprehension and pronunciation and Esperanza helped me immensely with both. She also provided a cosy room with its own bath, classes in Mexican cuisine and visits to local tourist attractions and out-of-the way places I would never have known about on my own. I cannot recommend her program highly enough. I will come back for sure. Your website is very interesting. I enjoyed your website a lot. Thank you. Hi I took lessons this past February with Esperanza. She is patient, funny and very easy to learn from. She does expect you to put an effort to your own learning. It was a pleasure to meet her. You will learn easily from her. La razon de este mensaje es que tengo un amigo que quiere le haga un paquete donde incluya estadia y clases de espanol, tengo la casa pues rento habitaciones a extranjeros, pero quiero encontrar la mejor escuela o maestro particular> Podria ofrecerme alguna sugerencia en cuanto a clases:numero de clases, costo por hora calculando se quede un mes, esta persona no sabe nada de espanol. I will write this in English since this is a recommendation to fellow students. I just came back from Cuernavaca and had 2 and a half weeks of classes with Esperanza. I could not have been happier with my choice of tutors and I plan on returning to her for more classes. I have had other spanish teachers and tutors in the past and out of all of them Esperanza is the best! She is extremely knowledgeable in teaching and also in the Mexican culture and will help you to use your spanish in real world applications not just teach you by the book. She explains herself very well in a way that is easy to understand and is a very positive and patient person which is important for a student trying to learn. The one thing that I really liked the most in speaking spanish with Esperanza especially outside of class is that she always corrected me when I misspoke even the smallest details and that was very important to me. I found Cuernavaca to be a very safe and friendly city with a climate that has to be one of the best in the World. There I found all of the modern conveniences that I could ever need, fantastic restaurants and always something flowering! The City of Eternal Spring! Very good website. Thank you webmaster!!! Best regards!!! Me encanta aprender y practicar mi espanol con Esperanza. Ella es muy amble, simpatica, y una buena maestra. Su manera de ensenar es bien efectiva para aprender y lograr mas confianza en el idioma. Yo estudie con ella por una semana en enero 2005 y voy a regresar este verano por mas clases. Tambien, Cuernavaca es bien padre y el clima es perfecto. I have just spoken with you on the phone. And after having spoken with you I'm looking forward to arranging espanol lessons with you. I intend to visit DF in late January and i will contact you. I was wondering about transport from DF to your home town. Perhaps you might have some suggestions. Looking forward to meeting you. Learning Spanish is always a challenge, but that challenge can be pleasant or painful depending on your teacher. (I still remember my high school instructors, whose dull grammatical drills made me swear off Spanish for years.) Going to a language school can be a gamble because you don�t know what you will get; the teachers are generally pretty good, but there�s no guarantee. Studying with Esperanza has two advantages. First, you get individual attention, which greatly speeds the process of learning. Second, Esperanza is more than a �pretty good� teacher; of the many Spanish teachers I have had, she is among the very best. Why is she so good? First of all, she makes you forget that learning is hard work. Her humor eases the process, and you feel that you are having an interesting discussion instead of struggling in a new language. Patience is another key; even good instructors will sometimes look at you as if you�re an idiot after you make your 101st error in the use of the subjunctive (and you will, if you haven�t already). 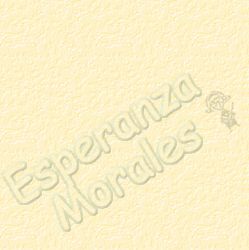 Esperanza understands that mistakes are part of the process, so she doesn�t lose her patience and you don�t lose yours. Finally, teaching is an art and, like all art, has its mysteries. Who can tell exactly how and why Spanish starts falling into place when you talk to certain people? Fortunately, you don�t have to answer that question. All you have to do is know that Esperanza is one of those certain people, and that we are lucky to have her as a guide. Aprender espa�ol es siempre un desafio, pero este desafio puede ser placentero o desagradable dependiendo de qui�n tienes como maestro. (Todav�a recuerdo a mis maestros de espa�ol en la secundaria, cuyos ejercicios aburridos me hicieron dejar de estudiar espa�ol por muchos a�os.) Asistir a una escuela de espa�ol puede ser una apuesta, porque no sabes que recibas; en general, los maestros son medio buenos, pero no hay ninguna garant�a. Estudiar con Esperanza tiene dos ventajas. Primero, recibes atenci�n individualizada, la cual aumenta la velocidad del aprendizaje. Segundo, Esperanza es mucho mejor que "medio bueno"; de todos los maestros que he tenido, es entre los mejores. �Porque es tan buena? Primero, ella hace que te olvides que aprender es trabajo duro. Su sentido de humor facilita el proceso, y sientes que experimentas una conversaci�n interesante en vez de luchar en el nuevo idioma. La paciencia es otra clave; hasta buenos maestros te miran como si fueras un idiota despu�s de que cometes tu cent�simo error en el uso del subjunctivo (y lo har�s, si todav�a no lo has hecho). Esperanza entiende que errores son una parte del proceso, as� que ella no pierde su paciencia y tu no pierdes la tuya. Al fin de cuentas, ense�ar es un arte, y como todo arte, tiene sus misterios. �Como pasar� que el espa�ol se arregla en tu mente cuando hablas con ciertas personas? Afortunadamente, no tienes que contestar esta pregunta. Todo lo que tienes que saber es que Esperanza es una de estas ciertas personas y que es buena suerte tenerla como maestra.